Belkaglazer is a fully automated Expert Advisor for creating diverse trading strategies. The EA automatically adjusts for 4 and 5 digit quotes. My signals, accounts, and set-files do not use dangerous elements of Money Management. Therefore, there will be drawdowns, bad days, weeks, months, and maybe even a bad year. The equity curve will not look like a straight line with a 45-degree angle. If you use my strategies or set-files, make sure that you are prepared for a long stagnation period. For more information, visit the Settings page as well as my website. Impulse_Intraday uses significant price movement in one direction on high volume. The strategy waits for a strong price movement assuming that the market will continue to move in the same direction. The strategy has a low winning percentage of 30%...40%. You can experience over 5-15 consecutive losses in a row. PreviousDayHL strategy is based on a simple concept: if the price breaks yesterday's High or Low, then the price movement will continue in the direction of the breakout. 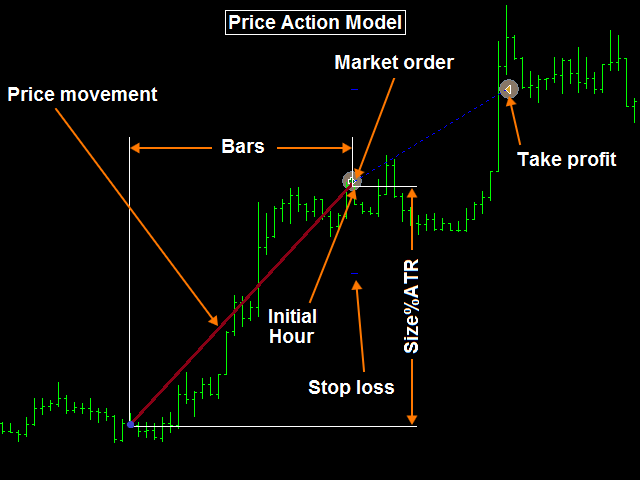 MondayTrading strategy enters a trade on Monday morning in the opposite direction to the price movement on Friday. It uses the difference in volatility between Friday and Monday (‘Weekend effect’). The volatility is higher than the average during the trading day on Friday and lower than the average during the trading day on Monday. AntiMomo strategy places a pending stop order after a strong momentum to catch a possible reversal. It is strongly recommended that you use a VPS and 5-digit broker with low spread who closes daily bars at 17:00 New York time. Such a broker gives five 24-hour day candles a week. It is recommended backtesting strategies with fixed lots. The more strategies you use, the less you are at risk in the long run, and the better you can trade in different market regimes (trend/flat). It is necessary to divide trading risks between set-files based on the same strategy. I recommend changing the default settings for the ‘TakeProfit’, ‘StopLoss’, ‘StopBar’ parameters. This will help you avoid slippage and situations where the price comes very close to the TP level but does not hit it for a long time. 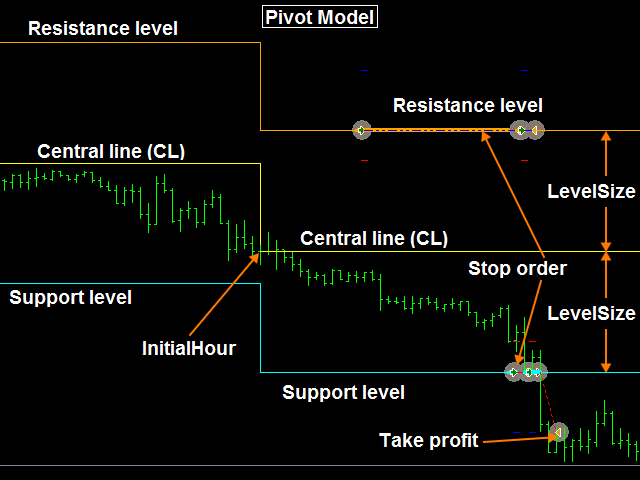 You can set up a trailing stop to protect the floating profit. Remember to do a new backtest with the changed settings. The default settings of the EA correspond to the 'Daily_levels' set-file. 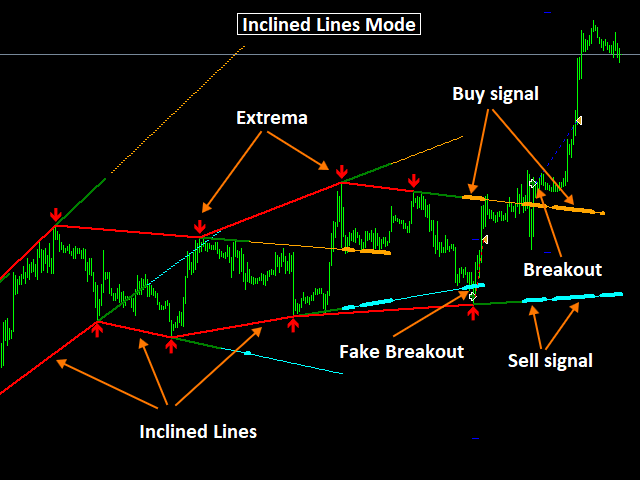 It is a breakout strategy based on the horizontal support/resistance levels on the D1 timeframe. The system seems to be durable if an user diversifies portfolios with multiple presets as an author recommends, and he is really helpful. I will update rating stars after my evaluation for this EA. Excellent EA, stable with low risk. It has many strategies for different pairs, also you can check author signals which prove worth of the Belka EA. Great job Dmitriy! I base my review on the overall experience with Belka and Dmitry. 1. Belka has over 10 different strategies with several sets for each of them all backtested with 99%MQ, reasonable number of trades (over 200) and at least 10 years of history. That certainly gives high statistical chance that the certain market behavior exploited by the strategies/sets will be present in the coming years (of course nothing is 100% certain, but the odds are on your side). 2. Belka gives you an option to trade a portfolio - one EA that can be used with various strategies both Breakout and Mean Reversion. When risk is carefully managed among sets it should help the trader be profitable in the different regimes of the market (trending or ranging). 3. Communication and support is very good. All the issues or questions that I had were promptly answered by Dmitry. So Thank you Dmitry for your help and ongoing support! I just got this EA recently, the developer answered to all the questions and shows you how to have the same settings as his signal. If there's something you don't understand, you can ask him, he is pretty open. Will give a rating in a few months. No voy a dejar una catalogación en estrellas, pero si quiero dejar claro que las multiples estrategias disponibles lo hacen atractivo. Puede ser que escojas una estrategia y te vaya bien para un determinado par, porque de eso se trata. Por eso no le voy a dar una puntuación, porque eres tú el responsable del buen funcionamiento. Funciona bien si estudias bien la estrategia y la aplicas. No digo más. -Professional developer = Professional EA. EA is good. But the developer used to share all setting files for all signals. Now the price is 4x more expensive than it used to be and the developer is not willing to share information anymore. Hope developer will actively update the EA instead of keeping the information for himself. If someone is willing to sell a product, then it is expected some long-term support and the most information possible about the product's optimal usage. This is not happening any longer. I even ask myself if support will be completely discontinued, or if future version will be less than optimal on purpose. The only product in the market that will give you decent profit in the years to come. 1. Positive testing 99% quality from the time data is available (2003 - 2005 depending on pair). 2. It needs to have more than one pair to diversify risk. This EA has it all, I believe if you ended up here you have probably realized most of EAs are crap and offer 2 - 3 year test (for a good reason). Big thanks to Dmitriy for willingness to share his work with us! I know you have put in a lot of effort in building this EA and you could have kept it for yourself. So, thank you man!! Probably the best EA at the moment. This thing is solid as a rock. Follow the instructions with the capital size and lot and do some deep research. Try to backtest it yourself to learn its backside. I have built several portfolios and all is profitable and robust. seit 14.12.2017 bis heite den 17.02.2018 4X Gehandelt 4X Verlohren !!! Gemitet für 69€ nicht Gut!!!!!!! Excellent EA allowing to set up many diversified strategies on different pairs. The software is quite sophisticated and based on a solid background of forex market behaviour and trading experience by the developer. Great transparecy of certified results, strategies and super great support. Dimitriy is always responding in literally few minutes to all my requests on how to set up the EA at best. I am live on a real account. Will update in few months with trading results. ***** 5 stars + for me. 1) Diversification - various trading systems using different currency pairs plus dozens of 99% backtested setfiles to choose from. 4) You can create your own portfolio ( or also your own strategie ) with your own risk level and you get tools to do that. 5) Even earning money with this EA and well sleeping because of KNOWN risk !! I hope that Dmitriy will do such an good job in the future and support us with strategies and sample portfolios. I have had this EA running for around 7 months live. The author's signals this year have pretty much all performed bad, except maybe one or two (out of around 15). I am still using it, just updating my review. Thus far I have a live and demo account (+4%, and -16%). Таких продуктов в публичном доступе просто нет. Это не просто торговый бот с готовыми пресетами, а целая платформа для исследований. Лучше продукта я не встречал. Спасибо. Excellent robot and better customer service. Very professional. I have been testing it for a month on real account with small lots and performance is good. Отличный робот с большими перспективами! Я тестировал его в течении месяца и только сейчас понимаю всю сложность и объемность работы, сделанную Дмитрием! Спасибо огромное за это! Excellent EA, Nice Developer! Although I just rented and used this EA for several days, I bought it with no doubt! Professional Expert Advisor, professional developer ... actually everything professional. And the best part of it all ... it works! Thank you Dmitriy! Professional support, and very good performance. Variety of strategies for you to customize your setup, very good support, and the most important part....it works! its not going to trade very often, its not going to be perfect result, but overall the system is profitable. I've never seen a support as good as for this EA. Dmitriy knows his stuff. I love that the trading strategies are all relatively simple (plus explained on the website) and actually make sense, unlike most of the systems that hide their strategy. If you wanna do forex seriously, you can never trust a black box. I learned that the hard way. This system doesn't promise astronomical returns and that's how it should be. Low risk, low return systems will always beat high risk systems promising high returns. This EA allows you to have many strategies. Every strategy is like having an EA, but with the price of one. Dimitriy has already the strategies set. You can create your own portfolio, with different strategies together, or copy the portfolio that already exist. The creator continuously improves the product and creates new strategies is like having new EA. Good job. Very safe and stable! Highly recommend for big deposits! A very sophisticated EA, well structured, prompt and personal support to the point, awesome documentation around the EA - and already a bunch of strategy setups that work. What else to say...as thanks to the developer. It is absolutely a great EA with almost all main trading strategy methods, valueable!! And running on live account, tightly sl, low dd, stable profit curve, same with author's signal, be satisfied with 5 stars. Excellent EA, the default settings are excellent, it has several strategies and the support is also very good. One of the best developer on MQL, Belkaglazer is a real professional EA, highly customizable and Dmitry is always responsive and updating the EA with new functions, 5 stars! Очень качественный советник со множеством функций, стратегий и возможностей. Но больше всего я в восторге от разработчика который оказывает колоссальную поддержку на каждом этапе, с каждый вопросом, дает развернутые ответы. Автор данного советника настоящий профессионал, на маркете я не встречал более отзывчивого опытного и компетентного разработчика! I mainly use the momentum and breakout strategies of this EA. They are definitely the best I have seen. Everything work as expected. The only downside is that if you are using mql5 vps which has a max slot of 32, then this EA does take up a lot of slots. -"No Martingale, No Grip, No Scalping or any other methods of dangerous money management" as it state in the EA description. Which makes Belkaglazer stand out of all the crowd in the MQL5 community. -This EA is not for quick money. -This EA is for long term. If you studied Forex and been involved into trading, Belkaglazer, will be like a piece of gold. There is so much you can do with this EA. 3 different strategies with 3 Models, you can use them in conjunction with each other and back-test them with the currency of your choice using Dimitry custom software tool which came with the price of the EA. Dimitry signals are there for you to refer to, with its given settings. The developer has many years of experience in trading and is a great person to know as for any advice on the Forex Market, Broker Selection. He helped me many times with the risk management on each of the currencies pairs/ Commodities i trade. Dimitry has also manage many clients accounts which makes him reliable in the way he use his risk management. I am very fortunate to have come across this EA in its beginning stage. This EA is going to rock the market. This product has a high degree of great work behind it. Other developers should take this as an example. Support from Dmitriy has been amazing and has helped me create custom strategies for a couple of my accounts. I now have a portfolio which suits my risk and diversification needs with no more stress. I actually get what this EA is doing, and it's right on par with how I like to trade. Excellent long term EA that looks extremely promising. I wouldn't call it an EA. It's more like a powerhouse! The developer even provide you with a researcher tool in order for you to find some sweet spots. And talking about the developer, I've never seen such a great support like his. He knows what he's doing. Super professional. Couldn't be happier with the purchase. Amazing, so far my best purchase on the entire market, professionally made and more profitable every update (I managed to get in quickly). Many presets passed my rigorous back-tests for a 10 years period 99% quality, realistic spread and statistically correct slippage for ICMarkets, worth a lot more than it is right now to be honest. Nice EA. Looking forward to more sets because more sets mean more profit. I would like to be the 1st to comment that this EA should be the benchmark for all developers out here. 4) Value for Money - I'm not earning money with this EA yet, but from what I have seen here, I surely will soon. - Improved RangeFilter. Added ability to set negative values (-4...-1). - Improved graphics in visual mode. Fixed duplicate messages in the 'Experts' log when backtesting. - Added backup URL to determine GMT offset. - Added ‘Dangerous_MM‘ parameter. Allows you to add various dangerous types of Money Management (Anti-Martingale, Martingale, Pyramiding, Averaging) to any strategy. 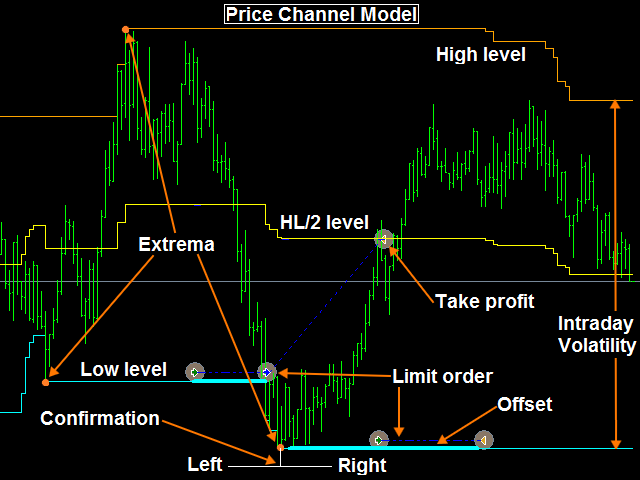 Dangerous MM is a position sizing method that calculates lot sizes based on the latest trading results. Added the related parameters: ‘MaxNumberOfSteps‘, ‘Multiplier‘, ‘CustomMultiplier&Steps‘, ‘MinStepValuePip‘, ‘ComputeDrawdown‘, ‘TP_Calculation_Method‘, ‘SL_Calculation_Method‘. - If 'Balance' set to a negative value then the EA calculates lot sizes based on the account equity. - Added the 'MaxLot_Per_Order' parameter. - Added the 'StepBetweenOrdersPip' parameter. - Added the 'MaxLot_OpenOrders_Filter' parameter. - Added the 'MaxNumber_OpenOrders_Filter' parameter. - Added the 'Disable_TP&SL_Control' parameter. - Added the 'TradeDirection' parameter. - Added a new PCh mode - 'Inclined_Lines'. - Added the 'ExpirationBars' parameter. – Added the ‘MaxSlippagePip‘ parameter. – Added the ‘UseBrokenLevels‘ parameter. – Added the ‘MaxTakeProfitPip‘ parameter. – Added the ‘MaxStopLossPip‘ parameter. – Added the ‘StopProfitBar‘ parameter. – Added the ‘StopProfitPip‘ parameter. – Added the ‘SkipFirstTrade‘ parameter. – Added the ‘CloseOnOppositeSignal‘ parameter. – Added the ‘TradingPauseBar‘ parameter. – Added the ‘PreviousDay’s_Return%ATR‘ parameter. – Added the ‘OrderMonths‘ parameter. – Added the 'MaxRiskPerTrade%' parameter. – Added the 'OrderMonth' parameter. – Added the 'GMT_offset' parameter. – Added the 'Daylight_Saving_Time' parameter.